Liquid Metal Reactors (LMRs) are promoted as having safety advantages over Light Water Reactors (LWRs) in terms of reduced likelihood of core damage and containment failure. LMR’s are also promoted as being capable of addressing markets such as process and district heat applications. Consistent with these features, a goal for LMR licensing is to reduce the Emergency Planning Zone (EPZ) compared to an LWR of comparable size. Note that the primary coolant of an LMR is kept at near atmospheric pressure and the margin to coolant boiling is greater for LMRs than for LWRs, so the design basis Loss of Coolant Accident (LOCA) is less of a concern for LMRs than for LWRs. Fauske & Associates, LLC, (FAI) was awarded a Gateway to Accelerated Innovation in Nuclear (GAIN) voucher to collaborate with Argonne National Laboratory to couple the SAS4A safety analysis code with the FATE facility modeling code and to extend SAS4A to accommodate the use of lead as a reactor coolant (SAS4A was originally developed for sodium fast reactors). The SAS4A code will be used to model system transients and fuel failures. 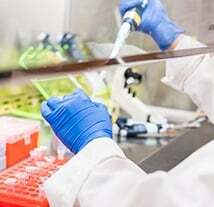 Its results will be linked to the FATE code to predict radionuclide transport through the primary coolant, cover gas, containment system, and finally release to the environment. The integrated code package will offer a state-of-the-art radionuclide tracking capability for a spectrum of accident scenarios consistent with the plant dynamic response including the reactivity feedback to support Level 2 and 3 Probabilistic Risk Assessments for LMRs. The initial effort will focus on the lead fast reactor design similar to that proposed by Westinghouse, a lead-cooled pool-type fast reactor for which UO2 is considered as a possible fuel option. The SAS4A code (as part of the SAS4A/SASSYS-1 safety analysis code system) was developed by Argonne National Laboratory (ANL) to perform deterministic analysis of design basis and beyond design basis events in Sodium Fast Reactors (SFRs). Detailed, mechanistic models of steady-state and transient thermal, hydraulic, neutronic, and mechanical phenomena are employed to describe the response of the reactor core caused by loss of coolant flow, loss of heat rejection, or reactivity insertion. The consequences of single and double-fault accidents (which consider failure of scram systems) are modeled, including fuel and coolant heating, fuel and cladding mechanical behavior, and core reactivity feedbacks. The main objectives of SAS4A are to model transient accident conditions and predict key reactor parameters such as reactivity, fuel and cladding temperatures, and cladding strain. SAS4A also has the capabilities to assess fuel failures, including failure modes, failure location and timing, in-pin and ex-pin fuel motion with their implications on core reactivity, and assessment of fuel damage propagation. The models in SAS4A have been validated with extensive analyses of reactor and plant test data from EBR-II, FFTF and TREAT reactors. The FATE code was developed by FAI for facility and process modeling and simulation. FATE has capabilities to model heat and mass transfer, fluid flow, and aerosol behavior in a nuclear fuel cycle or chemical processing facility. 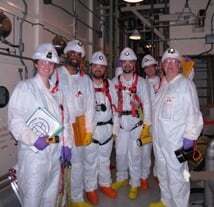 FATE has been developed and maintained under the NQA-1 Quality Assurance program and its predecessor software won a U.S. Department of Energy Technology Innovation award for Hanford applications. FATE’s primary phenomenological capabilities include a generalized multiple-compartment model and network flow model. A variety of chemical species can be modeled in FATE in condensed or vapor form, using thermophysical property correlations (for example, from the industry-standard DIPPR 801 database). 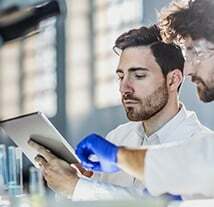 This allows FATE to model a number of different coolants including water, liquid metals, and gases, as well as fission products as generic chemical species in gas, liquid, or aerosol form. 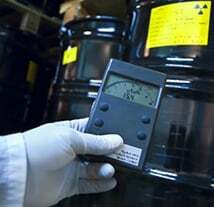 Aerosol transport and deposition are key phenomena in determining the radionuclide retention capacity of the containment. The aerosol model in FATE was validated against the well-known AB5 experiment conducted at Hanford. 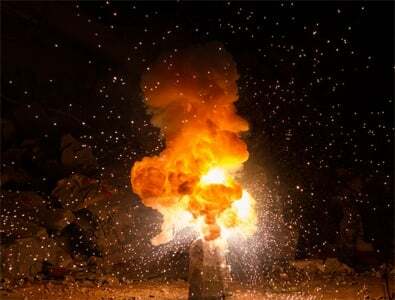 In this experiment, a sodium vapor source reacted to produce sodium oxide aerosol during a source period of 900 s into a volume of 850m3 at a rate of 0.444 kg/s. 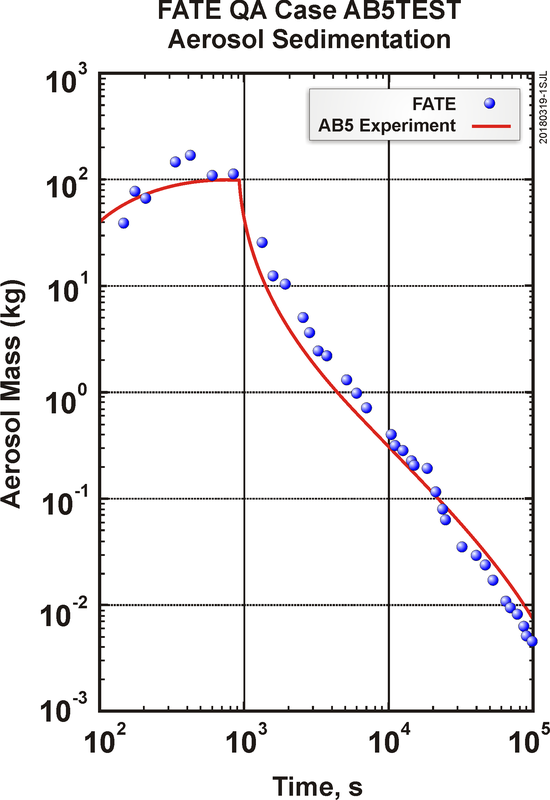 Figure 1 shows the FATE aerosol generation and settling results against the AB5 experimental data. The results compare well for a suspended mass history spanning over four orders of magnitude. Once completed, the SAS4A-FATE code is expected to be a complete mechanistic source term analysis tool for liquid metal reactors. It can be used for licensing advanced reactor designs.